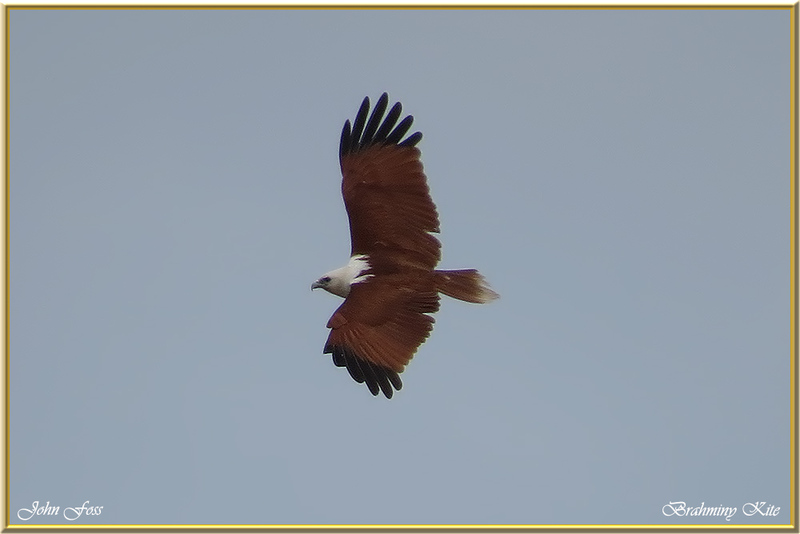 Brahminy Kite - also known as the red-backed sea-eagle in Australia. 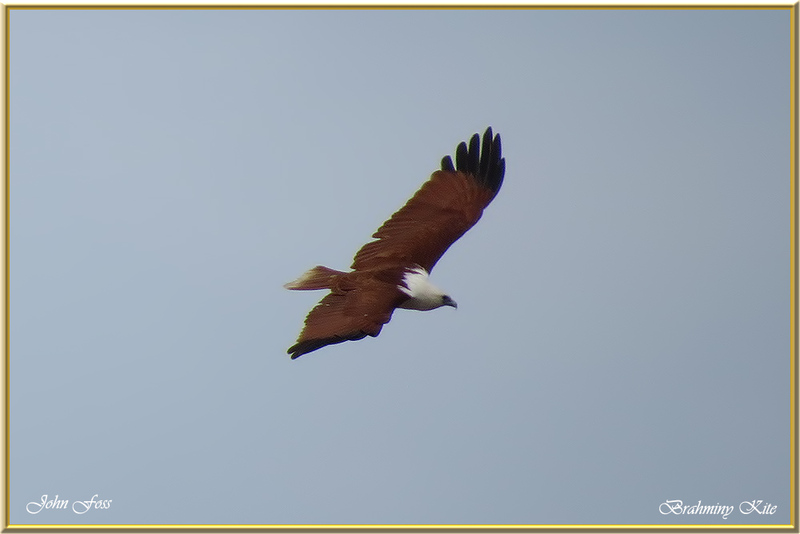 Mainly seen around coastal areas where it feeds on fish and crabs. They tend to feed mostly on carrion but have been known to take rodents such as hares. 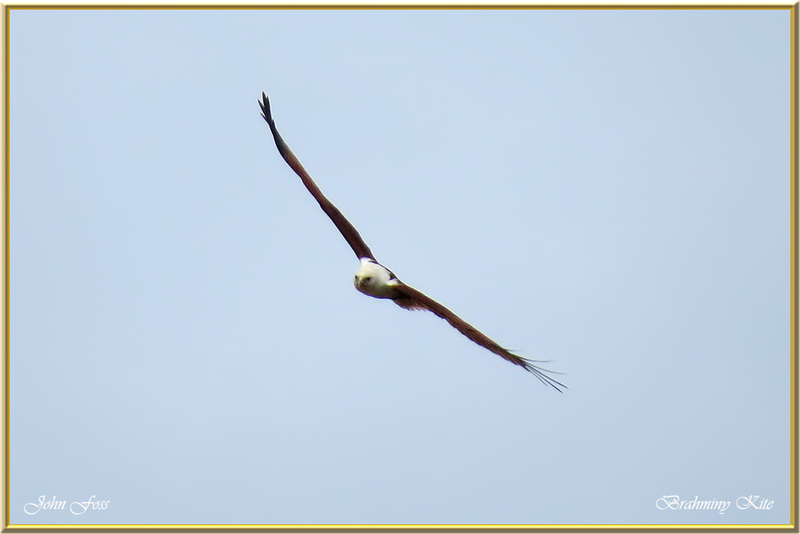 They return to the same nesting area each year. I photographed this one at Moore Park Bundaberg Australia.